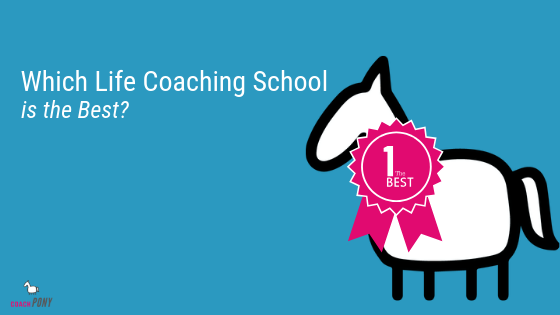 Here’s a question: What’s the first thing people think about when they land in your website? You get a gold star! (And YOU get a gold star. And YOU get a gold star! I’m pretending to be Oprah!). Anyway, moving on: The big website mistake that people make is NOT answering this question. 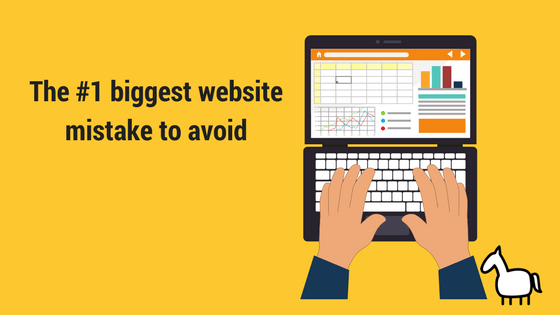 Think about it, when you land on a website that is confusing or unclear, how long do you stay on that site before you go somewhere else? (I’m sure your answer was “not long” because you are a busy person and if you are like me, there are more interesting things on Netflix to play around with :)). 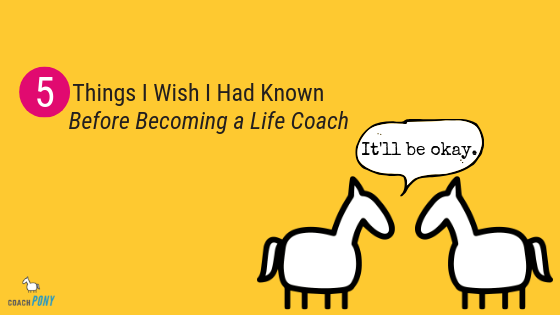 I searched on “clarity and abundance life coaching” because I know how we all like to think as coaches, and here’s what I discovered, through the powers of the google. (To protect the innocent, I’m not sharing URLs, but I did find these on a public search). What does this person do? Do you know? Honestly, I have NO idea. 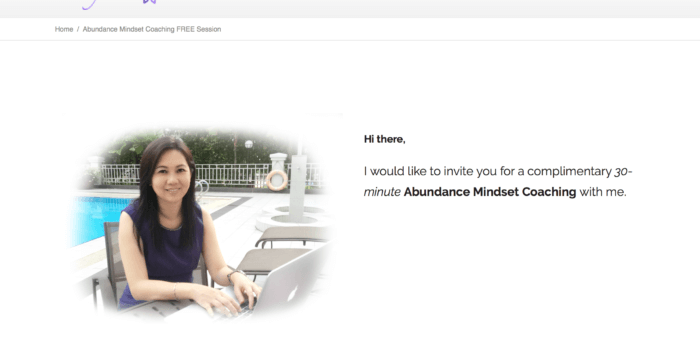 I guess “Abundance mindset coaching” ? But what does that mean? I know I can schedule a session with her, but why would I? She’s given me no reason to trust her, to believe that she can help me, or even explained what she does. What does that mean for me as a potential client? I’m going to bounce and continue to look somewhere else. I literally see nothing except an image. What am I supposed to do with that? There is no explanation of who this person is, what they do, or any direction as to what I’m supposed to do now that I’m here. I see a nav bar at the top, but the image is so distracting it took me a moment to notice it and regardless, it’s not helping me figure out what the heck this coach is about. I know I should probably scroll down, but honestly, why would I? I, like everyone else on the planet, am both lazy and skeptical, meaning I won’t waste any effort if I don’t see the point. Give me a reason website! Don’t leave me guessing!! This one is better in terms of overall website design, but there are a BUNCH of coachy words here that don’t mean a lot to most people. Reading this, are you excited about learning more? Here’s the thing: People have specific problems, and therefore they want specific help! I don’t want transformation and abundance, I want to know why I can’t seem to quit my job despite desperately trying to for the last few years. I want to know why I can’t seem to find a good man to date, despite being single and out there for 30 years. I want to know why I can’t seem to get my kid to do their homework, despite bribes, threats, reasoning with them, and hovering. I want help, not platitudes! I want you to get busy working on your own website banner, the images and words people see as soon as they land on your page. It doesn’t have to be perfect, but it does have to be clear. Think about the problems your clients most want help with, and then offer that kind of help right then and there! Mock something up on paper, or update your website if you have one, and then get 3 people to take a 2 second look at it. After they do, ask them to tell you who you do as a coach and who you help. If they get it, bravo! You are on the right path. If they say “ummm” then keep working. It can take practice, but you’ll absolutely get there. Awesome! 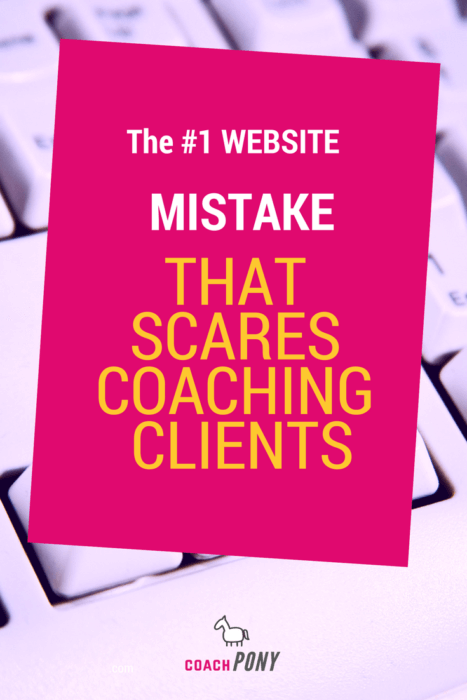 Grab our 100% free, fancy-pants guide to how to actually make money as a new coach (versus having two free clients and a blog you update once a month). Grab it here!